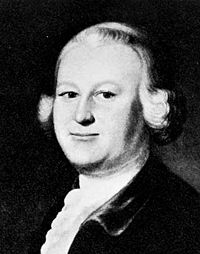 James Otis, Jr. (February 5, 1725 – May 23, 1783) was a lawyer in colonial Massachusetts, a member of the Massachusetts Legislature, and an early advocate of the political views that led to the American Revolution. The phrase "Taxation without Representation is Tyranny" is usually attributed to him. Otis died suddenly in May 1783 at the age of 58 when, as he stood in the doorway of a friend's Andover house, he was struck by lightning. He is reported to have said to his sister, Mercy Otis Warren, "My dear sister, I hope, when God Almighty in his righteous providence shall take me out of time into eternity that it will be by a flash of lightning."